The chief audio technician at one of Europe’s most renowned stages explains the challenges of designing sound for the theater and the creative solutions his team has come up with. 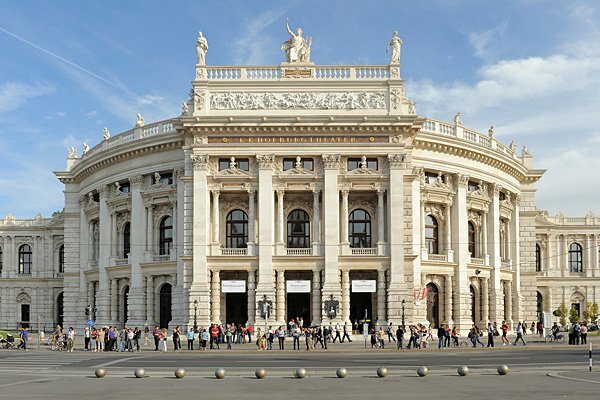 In the historic center of Vienna, next to the Hofburg palace stands the Burgtheater – one of Europe's preeminent theaters, employing many of the most renowned German-language playwrights, directors and actors of our time. Between the theater's four stages, the curtain goes up about 700 times a year on both new productions and modern stagings of classics. To meet the requirements of so many productions being put on simultaneously, the theater employs 16 audio technicians who oversee every aspect of the sound and music. 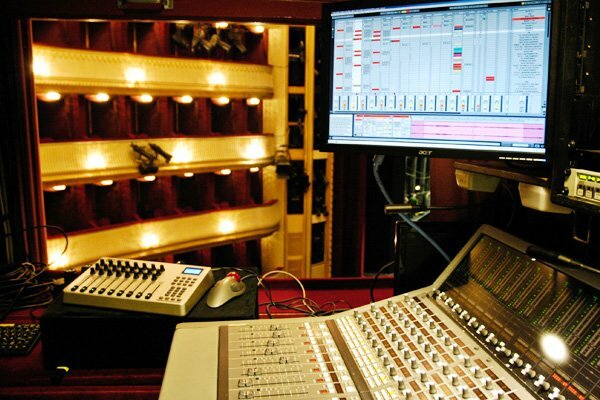 David Muellner - head of the Burgtheater’s Sound Department - explains the process of designing sound for the stage and how he and his team use Ableton Live to meet the specific challenges of modern theater production. Our theater sound technician’s work often starts with the very first rehearsal. Together with the director, we gradually design a play's specific sound-world. At this stage, Ableton Live acts as a music and sound production studio. A laptop running Ableton Suite, our own theater sound library and an audio interface are all we need. We can play around, experiment and save ideas for further development – all without changing systems. During the rehearsals, as soon as sound and music are chosen for a scene, we try to automate as many of the parameters as possible. The aim is to have all the audio, fades, EQ changes, Follow Actions, and sends within the clips of Live's Session View. This way we can play back the sound in exactly the same way at every rehearsal and performance by simply stepping through scenes in Live. We don't really touch the mixing desk any more. In fact, when we take one of our productions to another theater for a guest performance, we simply bring our laptop and audio interface, set up the mixing desk with the proper connections, set the main levels and are ready to do the show. To route the audio to the various loudspeakers in the theater, we use our main mixing desk only as a throughput matrix, while all the fades and sound changes are programmed in Live. We have a certain method we use for this; for every track that contains audio clips, there is a corresponding track which contains dummy clips. These are audio clips that contain silence but have volume curves and fades in the clip envelops for the sends, with each send going to an individual loudspeakers. The track with the audio clips is set to 'sends only' while the track with the dummy clips is set to receive input from the real audio track. Since each send goes to a specific loudspeaker, we can create any sound movements and volume changes via the clip envelopes without having to change the audio clip itself. Working this way we can quite quickly put together complex routing scenarios such as the following: a short loop of music slowly fades in and wanders from the rear-most loudspeakers to the main speaker array at the sides of the stage, from where it gradually moves to speakers hanging high above and behind the stage and gently fades out. As the productions at the Burgtheater have become increasingly complex in regards to sound, it is now necessary for us to assign a dedicated technician to each show. This technician is in charge of all aspects of the sound from the first rehearsal until the last public performance. Often, they are the only ones who know every detail. For example: we had a production for which we created a cinematic soundtrack which ran for the entire duration of the show and had to "follow" the actors. We created a Live session consisting of hundreds of samples which are played on specific cues made by the actors. For instance, when an actor looks back there is a certain accent in the soundtrack, or when an actor moves in a particular way, a specific sound has to be played immediately. In a real movie of course, sound is added after the footage has been shot and is composed to fit perfectly with the images. Our technicians had to simulate this effect of perfect correspondence between sound and action in real time. For us, this is only feasible with Ableton Live and of course a gifted sound technician who has spent a lot of time creating and playing the session. Due to the way theater is produced these days, the premiere is often the first real run-through of the play. For the sound department this means we have to be able to make changes until the last possible moment. Without Ableton Live, we would definitely not have this kind of flexibility. Just a few years ago, we needed the show to be finalized at least 3 days before the premiere because we had to transfer and set up every single sound file as soon as the play moved from the rehearsal stage to the actual theater stage. Nowadays, we have the same Ableton Live session running on our systems from the first rehearsal to the premiere, so we can make changes up until the last minute. In fact, sometimes we even tweak things during the premiere!